Latin literature includes the essays, histories, poems, plays, and other writings written in the Latin language. Beginning around the 3rd century BC, it took two centuries to become a dominant literature of ancient Rome, with many educated Romans still reading and writing in Ancient Greek, as late as Marcus Aurelius (121–180 AD). Latin literature was in many ways a continuation of Greek literature, using many of the same forms. 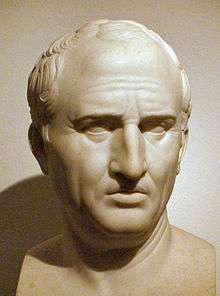 Latin was the language of the ancient Romans, but it was also the lingua franca of Europe throughout the Middle Ages, so Latin literature includes not only Roman authors like Cicero, Vergil, Ovid and Horace, but also includes European writers after the fall of the Empire, from religious writers like St. Augustine (354–430) and Aquinas (1225–1274), to secular writers like Francis Bacon (1561–1626) and Baruch Spinoza (1632–1677). The birth of lyric poetry in Latin occurred during the same period. The short love lyrics of Catullus are noted for their emotional intensity. Catullus also wrote poems that attacked his enemies. In his longer poems, he suggested images in rich, delicate language. ↑ Duckworth, George Eckel. The nature of Roman comedy: a study in popular entertainment. University of Oklahoma Press, 1994. p. 3. Web. 15 October 2011. ↑ Shipley, Joseph Twadell. Dictionary of world literature: criticism, forms, technique. Taylor & Francis, 1964. p. 109. Web. 15 October 2011. ↑ Mehl, Andreas. Roman Historiography. Wiley-Blackwell, 2010. p 52. Web. 18 October 2011. ↑ Hinds, Stephen (1998). Allusion and Intertext. Cambridge, UK: Cambridge. pp. 52–98. ISBN 0521571863. ↑ Eliot, Charles W. Letters of Marcus Tullius Cicero and Letters of Gaius Plinius Caecilius Secundus: Part 9 Harvard Classics. Kessinger Publishing, 2004. p. 3. Web. 15 October 2011. ↑ Nettleship, Henry; Haverfield, F. Lectures and Essays: Second Series. Cambridge University Press, 2010. p. 105. Web. 18 October 2011. ↑ Morton Braund, Susanna. Latin literature. Routledge, 2002. p. 1. Web. 15 October 2011. 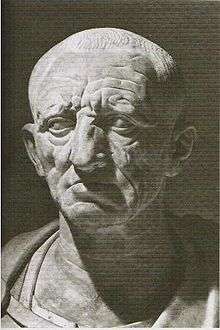 ↑ Colish, Marcía L. The Stoic Tradition from Antiquity to the Early Middle Ages: Stoicism in classical Latin literature. BRILL, 1990. p. 226. Web. 18 October 2011. ↑ Britannica Educational Publishing. Poetry and Drama: Literary Terms and Concepts. The Rosen Publishing Group, 2011. p. 39. Web. 18 October 2011. ↑ Cary, Max; Haarhoff, Theodore Johannes. Life and thought in the Greek and Roman world. Taylor & Francis, 1985. p. 268. Web. 15 October 2011. ↑ Grube, George Maximilian Antony. The Greek and Roman critics. Hackett Publishing, 1965. p. 261. Web. 15 October 2011.